Holy bromeliad, Batman! 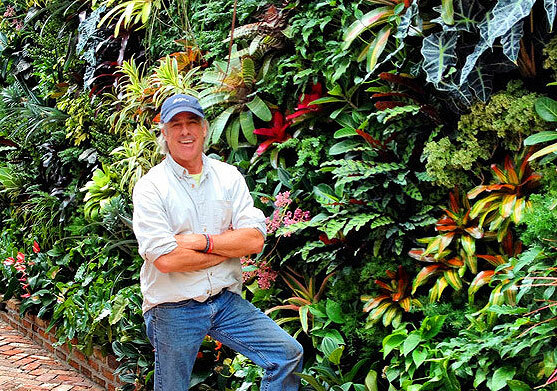 Jeffrey Allis of Tru Vine Design creates spectacular living walls and adds real value for his clients just by looking around. 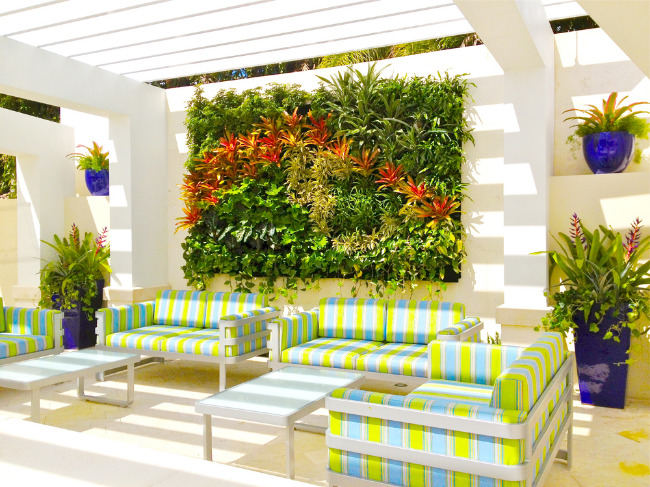 “I don’t sell just green walls −it’s an environment,” this South Florida designer and horticulturist says. Passionate about plants since age 13, he’s built much of his success by embracing the scientific principles of biomimicry. Put simply, biomimicry is an approach to finding sustainable solutions by imitating nature's own patterns and strategies. For instance, the design behind velcro actually mimics how burrs grab and hold on in nature! Jeff sees biomimicry in action through his extensive travels through the U.S., Europe and Central and South America. It’s in these latter regions − Panama, Brazil, Nicaragua – where he finds inspiration for his Florida gardens. He observes how plants act in their natural environment and comes back with new and often surprising revelations. “I never thought agaves would work, but I traveled to Nicaragua and saw agave sticking out of a wall. I saw it grown in nature,” he says. “The philodendron family likes to crawl up, over rock faces, so they’re a good choice. Bromeliads also do well." With this in mind, Jeff works with each client to deliver an intensely personal experience. And that’s not all. “I want to take biophilic design to another level and get involved with a children’s hospice, creating gardens to help people heal,” he says. Newer PostHe built one, and here they come.